Hello Everyone! 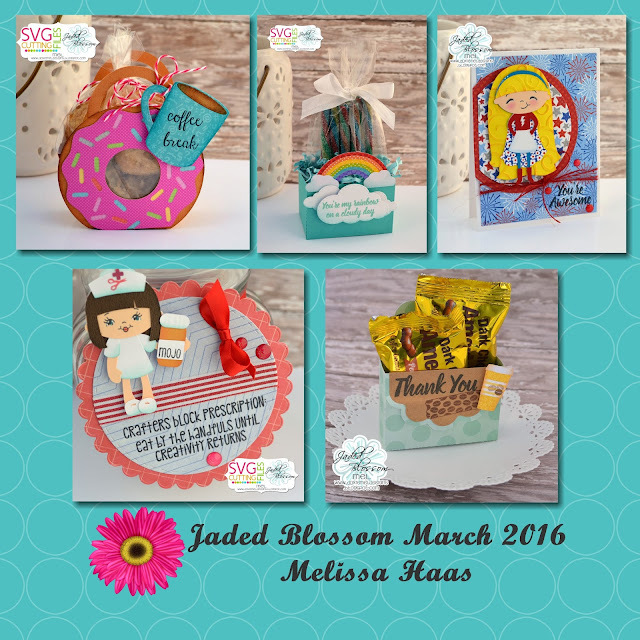 Today is my post over at Jaded Blossom. I found this cute dachshund puppy box at the Silhouette Design Store and just knew I wanted to make him. Nothing says "thank you" like a sausage dog! The mats behind the dog are the Stitched and Scallop Oval Dies. Hello everyone! 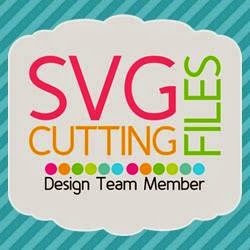 Today I get to show you a sneaky peek of a new file from SVG Cutting Files, Chunky Animal - Goat. Many new "Chunky Animals have been added to the store and this cutie will be available this Friday. To make the goat shape into a card, I welded two of the chunky shapes together. Next I assembled the goat and layered him on the front of the card. Hello! Today is my post over at Stamp Anniething. I made this cute tag for an Easter Basket with For Peeps Sake Stamps. The background for the rabbit was made with the egg stamp. A Luggage Tag die from Jaded Blossom is used for the base. Here is a closer look at the Pink Bunny Tag. He is colored with Copic Markers. Hello! 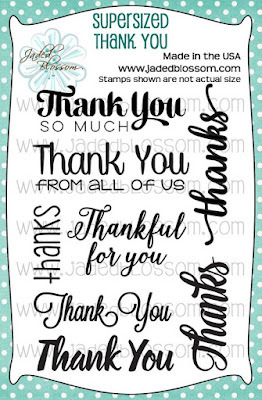 Today is my post over at Stamp Anniething. 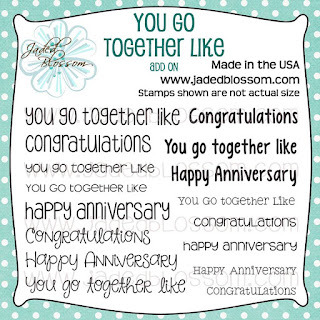 Here is a new card created with For Peep Sake stamps. This set has three rabbits to choose from and many accessory stamps to delight any rabbit (or human). I created a background with a sentiment and carrot stamp. A stitched circle die from Jaded Blossom was used to cut a hole for the cute rabbit. Here is a closer look at the rabbit. 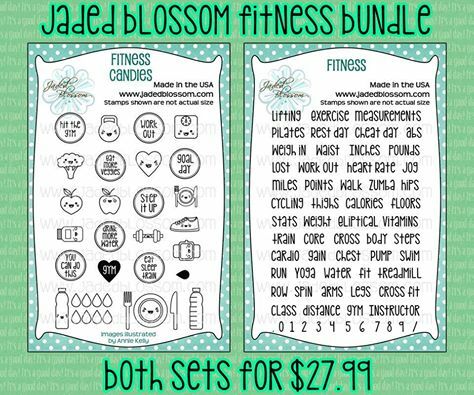 Visit Jaded Blossom today to see more samples created with this stamp set. Hello and Welcome! Today is the third day of Jaded Blossom's Sneak Peeks! We have a new stamp set called Unicorns and Glitter. So fun! I know this is going to be a popular stamp set. I added one of the sentiments to a cloud die from Jaded Blossom's Spring Dies 2. The candy is inside a clear gusset bag which fits inside a new file from SVG Cutting Files, Rainbow Gusset Outer Bag. Here a closer look at the beautiful stamp. Here is a closer look at the bunny tag. She is so sweet! I added a bow from Jaded Blossom's Bow Dies. Hello Everyone! 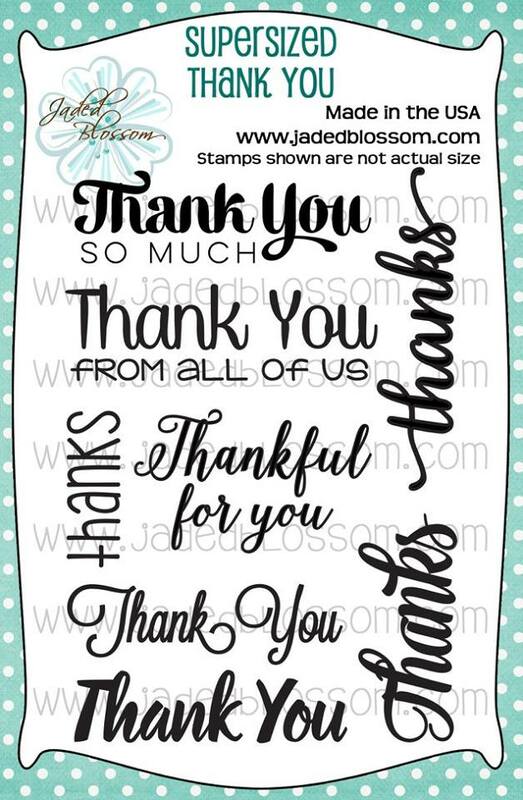 Today I am posting over at the Stamp Anniething blog. For my card today, I colored one of the stamps from the last release, Kelsey - Believe. Kelsey is colored with Copic Markers. 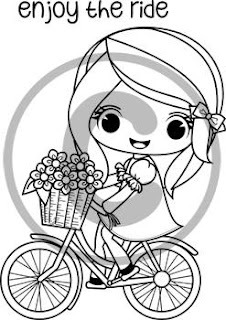 The "smile" is a new die from Little Yellow Bicycle that I purchased at Hobby Lobby. I layered a few of them for a little more depth. Well, to be honest, I thought purple first but it looked a little washed out. I liked leaving a hint of the purple behind the teal blue. ;) To finish the card off, sequins! All fairies love the sparkle of sequins. Thanks for stopping by today. Have a wonderful weekend! Hello! 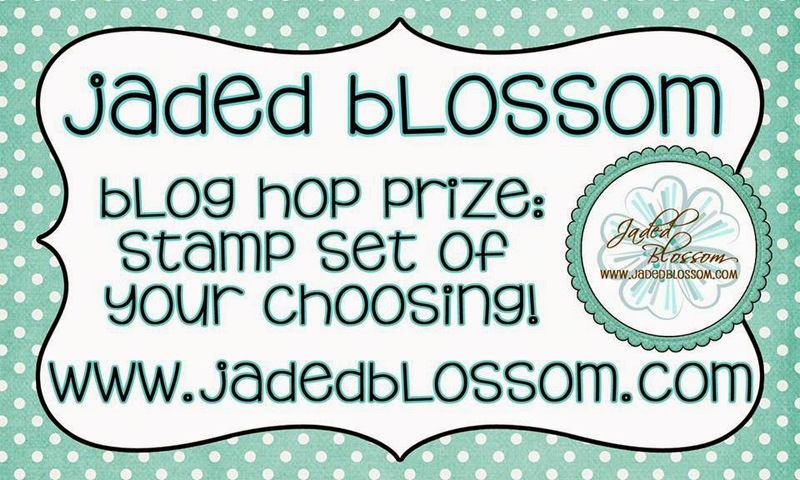 Today I am posting over at Jaded Blossom. My niece just turned one and she had a Frozen themed birthday party. I wanted to create a shaped album for the occasion. Here is the the front of the album, I like how you can see the other characters on the page edges. For fun, each page has an Olaf. Some are hidden on journal cards but each page has one. 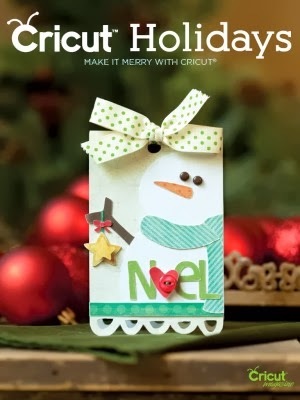 The Frozen die cuts are made with my Cricut Explore and their Frozen cartridge. I can't wait to give this keepsake to my niece. 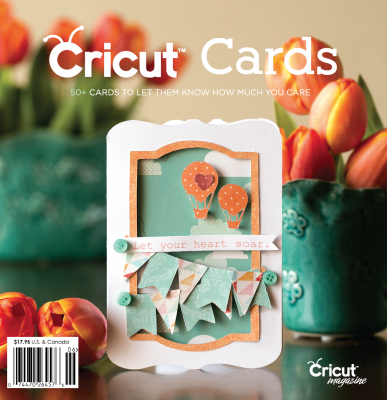 On the smaller pages, I used Jaded Blossom's Stitched Square Dies for photo mats. I made pockets behind the photo mats for journal cards. All the snowflakes are created with Jaded Blossom's Winter Dies. The presents and cupcake are from Jaded Blossom's Birthday Dies. Hello! 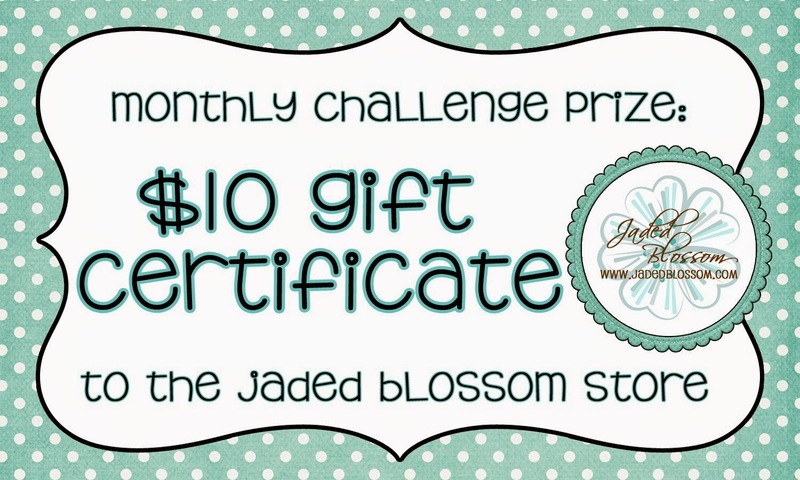 Today starts a new challenge at Jaded Blossom. The challenge, use something new. For my project I had never stamped with the Butterfly set. I can't believe I never used the butterfly stamps. They are really fun to layer and stamp. I used the large main butterfly and then stamped with two colors for the inside wings. I love how it came out. 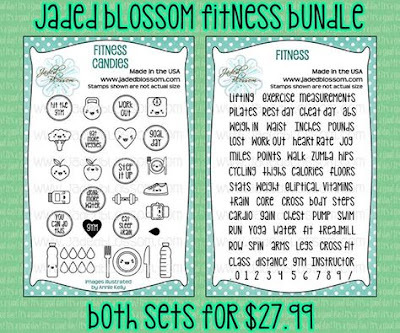 The butterfly is on Jaded Blossom's Dainty Topper Die. The candy was wrapped with Candy Wrap Dies and stamped with Simple Sayings Candies. Here is a closer look at the butterfly. Thanks for stopping! 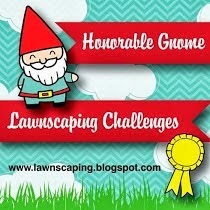 I hope to see your project at Jaded Blossom's Try Something New Challenge. Hi and welcome to Day 3 of Stamp Anniething's March release! Who's done with winter and ready for Spring? We are!! Kelsey will be available in the store TODAY along with the other 2 New stamps!! 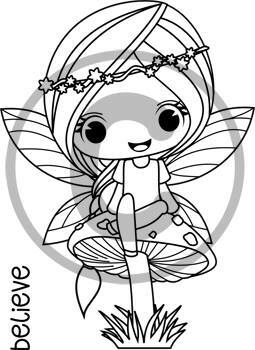 Here is a card I made featuring the New Fairy Stamp, Kelsey. I colored her with Copic Markers. Here is a start to finish video I made while creating this card. 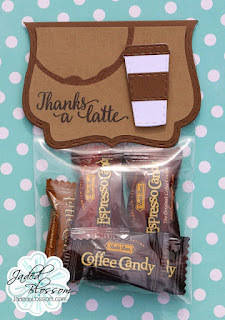 Visit Stamp AnnieThing's Blog to see what the rest of the designers have made with this adorable stamp. Hi and welcome to Day #2 of Stamp Anniething's March release! 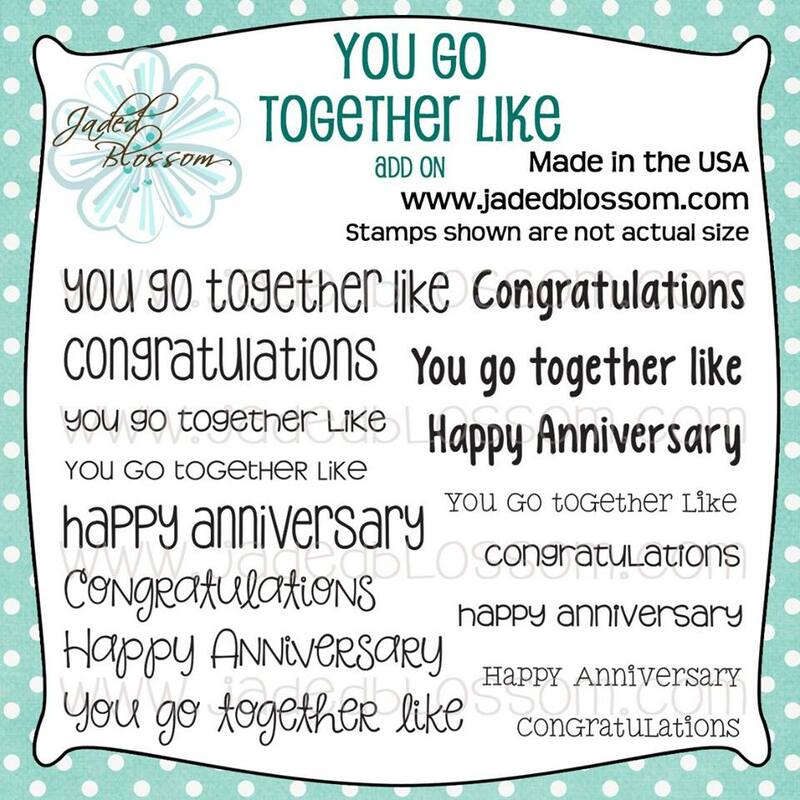 Here is a card I created with the new Julie stamp. I created a scene for her on the front of a landscape A2 sized card. She is colored with Copic Markers. She will be available in the STORE Friday! 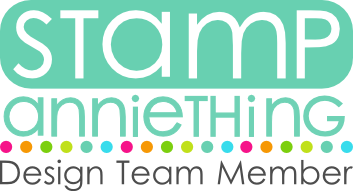 Be sure to check out Stamp AnnieThing's Blog today to see what the rest of the design team has created with the new Julie stamp.